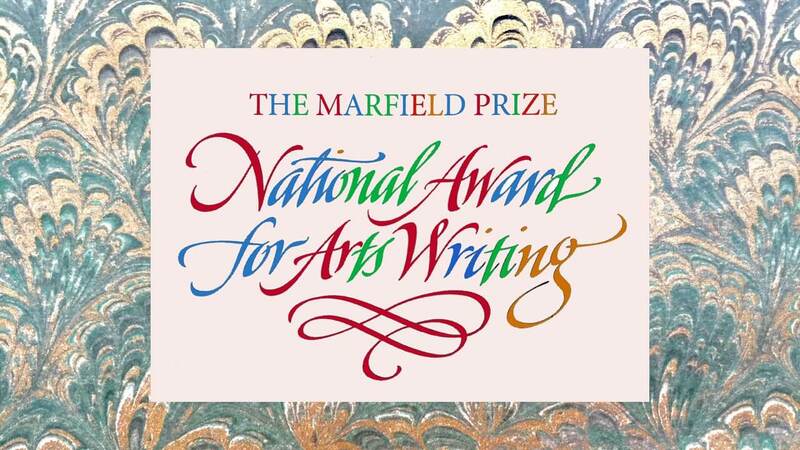 THE MARFIELD PRIZE, the National Award for Arts Writing, has its roots in a gift of friendship. 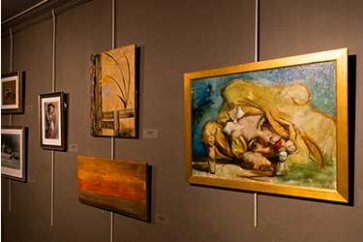 Lovers of the arts—and books that illuminate them—are invited to extend that spirit through their support. The Marfield Prize endowment was established with a gift to the Arts Club of Washington from longtime member Jeannie S. Marfield in honor of Florence Berryman and Helen Wharton. Please consider adding your name to the list of the Marfield Prize’s friends by becoming a vital supporter of our activities during this award cycle, including public and educational programs. Of course, we welcome any amount you wish to donate to support the Marfield Prize fund this year. 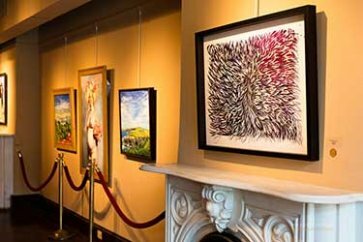 Please mail your donation to Ito Briones Chair, Marfield Prize Committee Arts Club of Washington 2017 I Street, NW Washington, DC 20006. 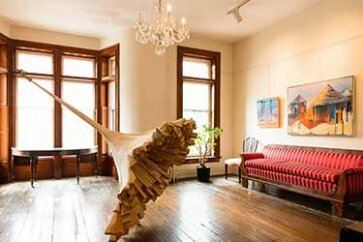 Make checks payable to Arts Club of Washington/Marfield Prize. 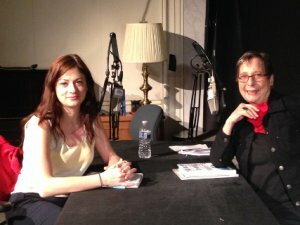 Read what Wendy Lesser said about winning the Marfield Prize last year. SPECIAL OPPORTUNITY FRIEND OF THE MARFIELD A gift of $10,000 or more underwrites this year’s award prize. 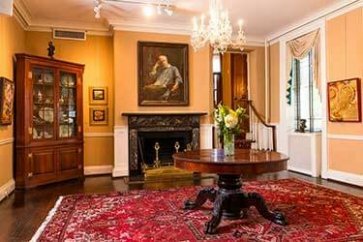 It provides the donor with a private dinner for up to ten guest in the second-floor salon of the Arts Club featuring a performance by Juilliard-trained concert pianist Christopher Schmitt. For more information, call 703-626-2931 or email Ito Briones, Chair of the Marfield Prize 2018: itobriones@gmail.com. Read the testimonials of past Marfield winners and how the Prize has helped them. “I felt an immediate impact from my Marfield Prize from my publisher, Knopf, which trumpeted the win on social media, and congratulated me. The National Award for Arts Writing, also known as the Marfield Prize, recognizes the author of an outstanding nonfiction book about the visual, literary, media, or performing arts. This $10,000 prize is designed to recognize excellence in arts writing for a broad audience. Intended to help increase access to the arts, the award celebrates prose that is clear and inspiring, creating a strong connection with the arts and artists. The prize honors accessible nonfiction books first published in the United States by an author who is living at the time of the book’s nomination. 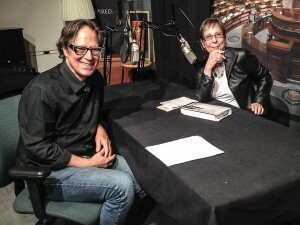 Books are judged by a distinguished, independent panel of writers. Past judges have included Alan Cheuse, Rita Dove, Richard Ford, Jamaica Kincaid, Joyce Carol Oates, Nancy Pearl, Robert Pinsky, and Ira Silverberg. The winning author is invited to Washington, DC, for a short residency that includes an awards ceremony, a presentation to a DC public high school, an interview, and a public reading at the Arts Club of Washington. Expenses are paid by the club. For more information, please email Ito Briones, Chair of the Marfield Prize 2018, itobriones@gmail.com. You Must Change Your Life: The Story of Rainer Maria Rilke and Auguste Rodin (W. W. Norton & Company) is a vivid biography of the young and then-unknown poet Rainer Maria Rilke and the notorious sculptor who served as his mentor. The book traces their surprising friendship and heartbreaking rift, having met when a penniless Rilke came to Paris in 1906 to research and write a short biography of Rodin. What resulted was an instant and unexpected synergy about art and creativity during the dawn of modernism in Paris. Written in luminous prose and drawing on extensive research, Corbett provides a glimpse into the origins of some of Rilke’s beloved poems, as well as the risks and rewards of the artistic life. Razzle Dazzle (Simon & Schuster) is a vivid biography of Broadway itself, told through a history of the venerable Shubert Organization. It is full of larger-than-life characters, like Bernard Jacobs and Jerry Schoenfeld, who took over leadership of the production company in the 1970s, when both Broadway and New York City were at low points. They went on to revitalize Times Square, change the face of New York, and produce many of Broadway’s most iconic productions. 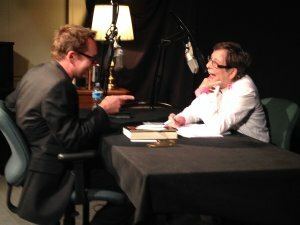 Drawing on extensive interviews and research, Riedel creates a comprehensive insider’s look, exposing bitter rivalries, unlikely alliances, and of course, scintillating gossip. “The Poet and the Poem from the Library of Congress” is now celebrating 38 years on air, founded and still produced by poet Grace Cavalieri. This recorded program features an interview with 2014 Marfield Prize Winner Philip Gefter who discusses the life of photography collector Sam Wagstaff with selected readings from the winning book Wagstaff: Before and After Mapplethorpe.